How quickly technology moves on. Just when you think you have social media sussed, a new trend comes along that throws the proverbial curve ball. In 2017, we saw Facebook lead the way as the world’s largest referrer of users to news websites, keeping the previous top spot holder, search engine giant Google, at bay. 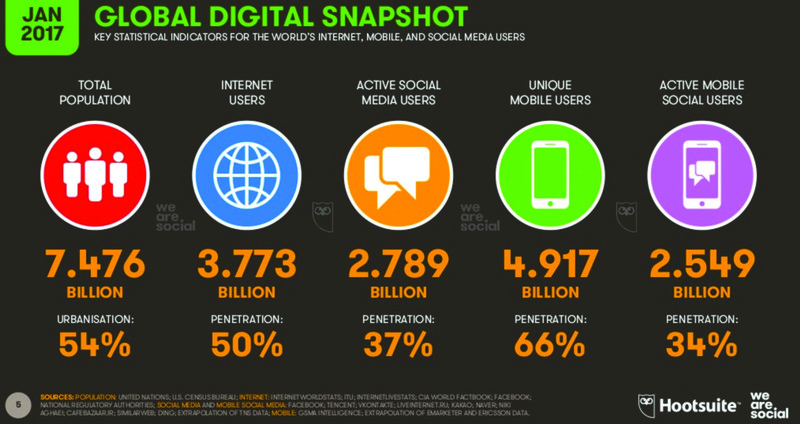 Similarly, Instagram, the Facebook-owned photo sharing site, saw staggering growth that put its total users at 600 million. Twitter’s fortunes, however, appeared to take a turn for the worse. The site’s number of total users flatlined in the last quarter of 2016, with the company reporting the same figure – 328 million – as it did in the first quarter. So, what will 2018 hold for social media? 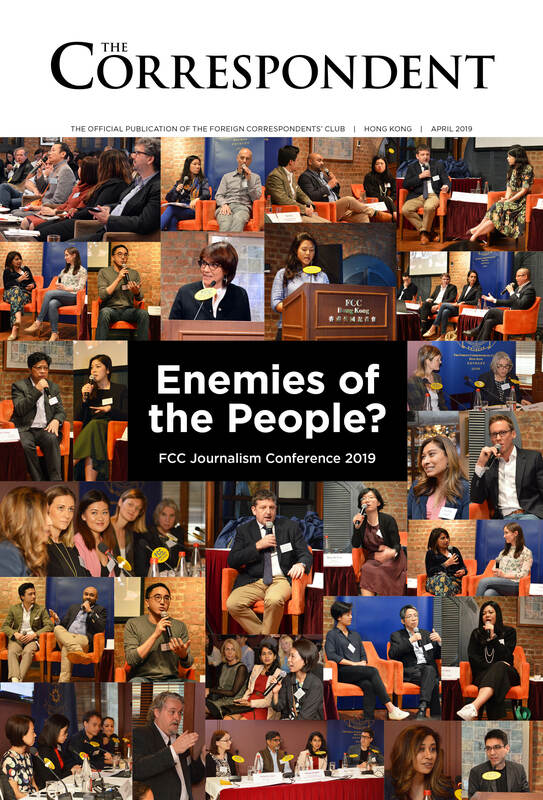 At the FCC’s Journalism Conference in April, keynote speaker and new South China Morning Post CEO Gary Liu predicted that messaging apps would overtake Facebook as the primary source of news content delivery. Liu, previously CEO of aggregate news site Digg, outlined the struggles facing news organisations as advertising and print revenues decline and social media sites like Facebook become primary sources of news for so many. Liu was of course talking about the rise in use of messaging platforms such as WhatsApp, Facebook Messenger, WeChat and Snapchat, among others. These instant chat apps enable smaller groups of users to share photos, videos and links. 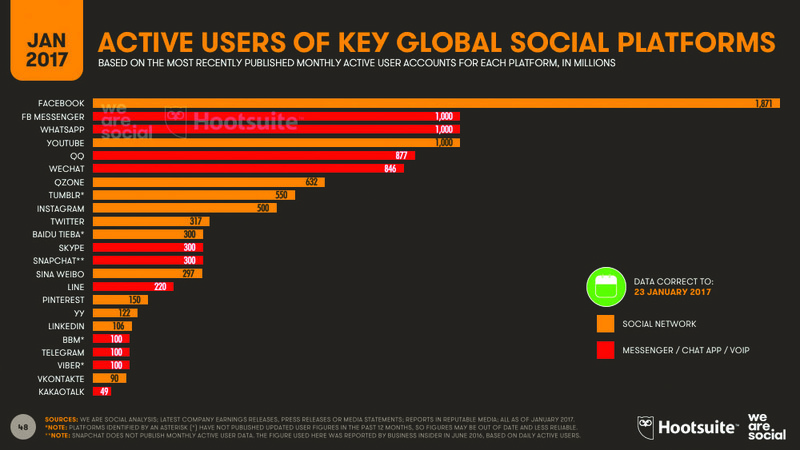 And, according to the Reuters Institute for Journalism’s latest Digital News Report, users are increasingly looking to these messaging apps as a source of news. Indeed, the BBC and New York Times are just two big news providers experimenting with delivering content via instant messaging apps. Geoffrey Colon, Senior Marketing Communications Designer at Microsoft, and author of Disruptive Marketing, echoed these sentiments when the FCC asked him for his 2018 social media trend predictions. He said: “Number one – a mass move away from big platform posting to messaging apps. While Facebook and Twitter keep records of number of accounts, what they don’t disclose is how many times people use those accounts or how active they are. This is great news for social media marketers, who will likely see an increase in demand for their services as companies and publishers scramble to keep up with the latest technology in order to deliver monetisable content.